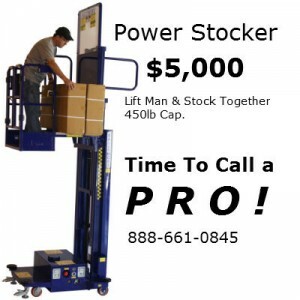 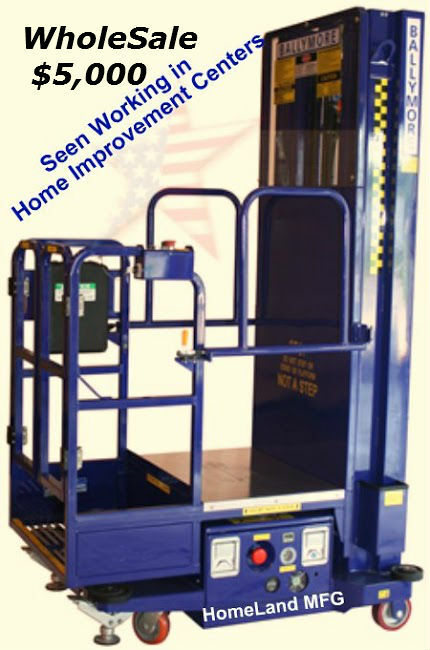 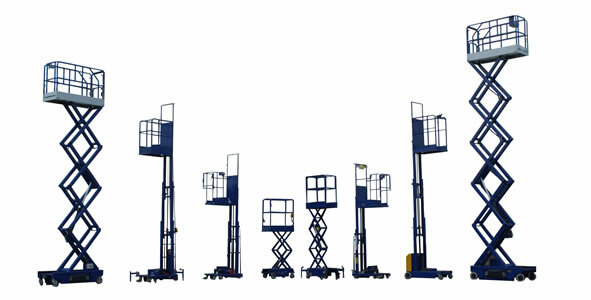 Ballymore Power Stocker PS10, this Man Lift is Designed to Lift Worker and Product at the Same Time. 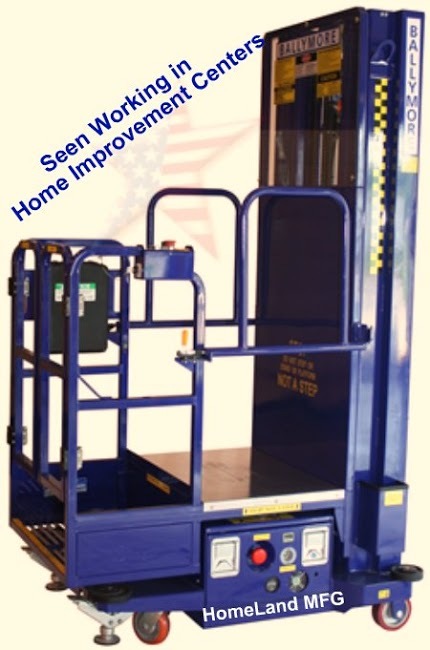 Our Ballymore Power Stocker PS10 Lifts save Time, are Safe, and Ballymore PS10 is Economical. Ballymore Power Stocker PS10 is the best way to lift product up or down. These industrial time savers are being used at Home Improvement Stores.